Competitive Market | Increase Student Enrollment | Enrollment Resources Inc.
Elemans faced some unique challenges in her role in the MBA program at the University of Victoria. As a specialty school within the larger public post secondary institution, Elemans and her staff operate in the heart of a very competitive industry. “I’d like to say we’re in a market where we have thousands and thousands of applicants and we can pick and choose the brightest and the best – it’s unfortunately not a market like that at all. It’s a very competitive market so we wanted to make sure that the systems we had in place were working. If not, are there better systems out there that we should be using?” said Elemans. Private Education is an increasingly competitive market and competition among MBA programs is especially tight. The availability of MBA programs is growing faster than the rate of student enrollment. 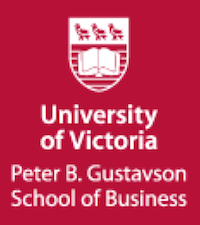 Elemans and her team needed to know how they could insure they were doing everything to capture leads and keep them interested in the UVic MBA program. “Based on a presentation by Enrollment Resources, I realized that this was something we could use on a small scale and implement ourselves within our department of the University. That’s why I went with Enrollment Resources” said Elemans. Refer-ability Survey: A survey developed for and sent to all current students, graduates and employers of graduates to identify the school’s strengths and what their most powerful advertisers – their students – had to say about their program. Lead Recovery Survey: A survey developed and sent to prospective students, those individuals who had inquired about attending UVic but who, for whatever reason, had not enrolled. This survey is designed to identify strengths and weaknesses in the school’s enrollment process and helps to re-ignite stale leads. Ongoing weekly Coaching sessions with a dedicated Enrollment Resources coach and the entire UVic team. These sessions included focused discussions and provided immediate skills training that staff could implement directly after each session. Since working with ER, Elemans and her team have purchased a contact management system and have developed a clear understanding of each individual’s job description and role within the entire contact management system.